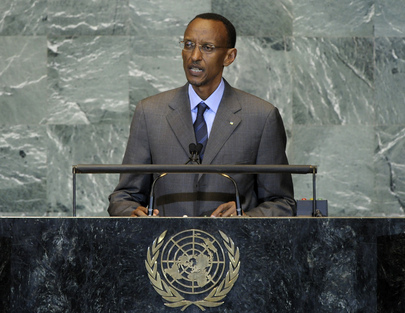 PAUL KAGAME, President of Rwanda, said the effects of decades of conflict had been unacceptable loss of life and a reversal of global social and economic progress. One needed to examine the dividends of striving for shared global prosperity, which would increase capacities to deal with conflict. Tackling development issues through the framework of the Millennium Goals, for example, would create conditions conducive to global stability, he said, pointing out that the $7.1 billion reportedly spent for peacekeeping purposes in 2011 and 2012 could otherwise have been channelled through the United Nations or other relevant institutions towards improving better the lives of millions. “While it is appropriate to talk about how mediation can support efforts to prevent and manage conflict, we should also ask ourselves why, after decades of trying, we are not making the progress we would like to in this regard,” he said. The likelihood of conflict was high when citizens felt disenfranchised and marginalized, and it made good economic and political sense to invest in conflict prevention, thus reducing the potential for future outbreaks and avoiding short-term quick-fix solutions, he said. Describing youth as a major investment that remained under-utilized, he said the current generation of young people carried less historical and political baggage and should be more included in getting the most out of the “global village”. With their social and communication skills, they were key innovators and thought leaders, not only of tomorrow, but of right now, he said. Experience had shown that, if mediation was to succeed, national efforts should be supported on the basis of specific cultural and political contexts. He went on to say that his country had seen that type of approach to mediation produce long-lasting solutions and tangible results on the ground because they were “home-grown”. Involving regional and subregional players, who were familiar with the often-complex regional dynamics, was also important, as was examining the toll that traditional diplomatic mediation could have on the lives of those in conflict areas. “Too often while resolutions are being debated and refined, people are dying,” he said. “And sometimes when those resolutions are eventually adopted, enforcement is slow, or they only halt the conflict for a short time but with no sustainable solutions,” he continued. National ownership remained critical, he said, stressing that mediation must be based on an overriding desire to bring conflicting parties together to resolve their differences. The most viable option for preventing conflict was to empower citizens, especially youth, politically, economically and socially so that they had a stake in the nation’s management and stability. “Ultimately, long-lasting solutions are the ones which emanate from within,” he said.